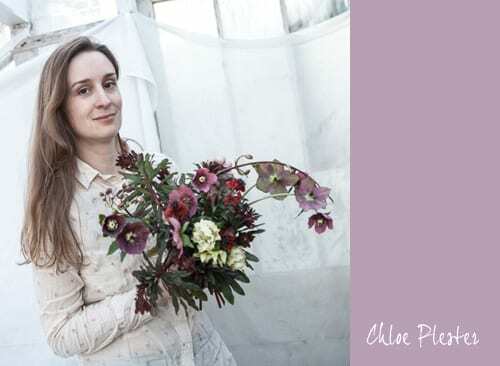 It’s Florist Friday and I’m delighted to feature an interview with a lady I met recently on a Little Flower School course…Chloe Plester of BareBlooms. 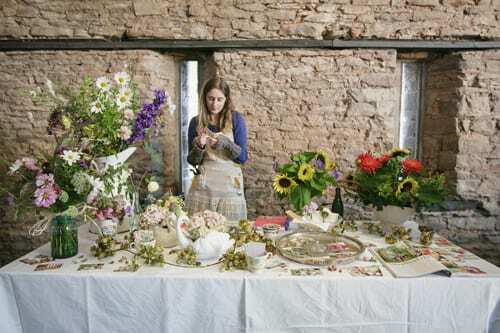 Could you tell us about your floristry/horticulture background? My horticultural enthusiasm was ignited in early childhood. I have fond memories of Friday nights with Geoff Hamilton on Gardeners’ World and Sundays visiting NGS gardens around the North Oxfordshire borders where I grew up. These ‘little yellow book’ gardens also helped spark a love of tea and cake! Regretfully, I never studied horticulture after being dissuaded to do so by the school careers advisor, as apparently it wasn’t a ‘proper job’! After graduating with a degree in Environmental Archaeology, obviously ignoring the careers advisor regarding ‘proper jobs’, I ended up working in my neighbour’s independent garden centre at Chipping Norton. I have him to thank for re-lighting that childhood passion for growing, as well as building on my plant knowledge (and how to deal with customers!) I never had any interest in floristry growing up. The only flower arranging I had ever seen was too ‘contrived’ and didn’t do a thing for me. It still doesn’t to be honest. I was unaware, at the time, that there was an alternative. 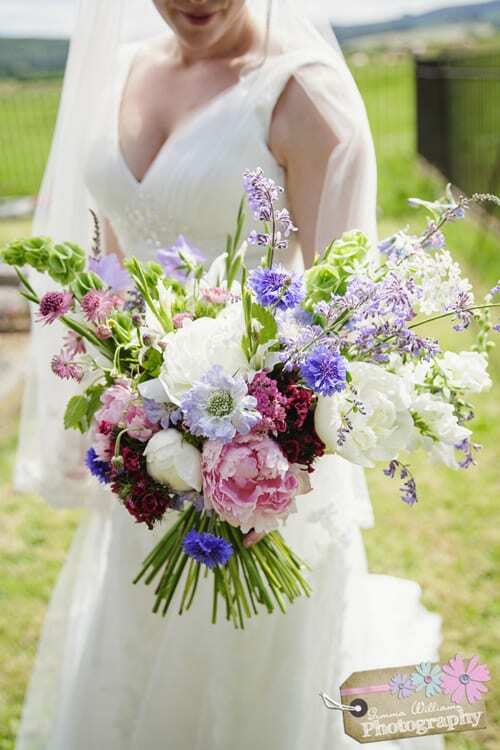 I still do not have any formal floristry qualifications…a fact I never hide from my clients. I don’t refer to myself as a florist and I’m proud to have a self-taught, instinctive approach. When did you set up BareBlooms and where are you based? I live in a quaint little town called Presteigne in Powys in Wales (100 yds from the English border). The idea for BareBlooms started as a bit of a daydream whilst working on a few local gardening jobs when pregnant with my second child. Less than 2 years later, I found myself a single mum of two and I had to find something that I could do to support my young family financially, as well as working around school hours and having a ‘little un’ at home. It was getting difficult taking my toddler with me to other people’s gardens and I was fed up of only being asked to do the back breaking gardening jobs. A friend put me in touch with a local florist, Carrie Ede, who was looking for local flower growers. It was then that I realised there was an alternative approach to flower arranging. In my rental garden, I soon realised I didn’t have the space to grow enough to supply florists, but I knew it was the direction I wanted to go in. And after helping Carrie with a few weddings, I was well and truly hooked! From talking to friends of friends and keeping an ‘ear out’, I managed to source two un-used polytunnels in one local garden and a few spare raised beds on another property. It wasn’t and it isn’t ideal, but I cram as much into these ‘borrowed’ spaces and my own rental back garden (having moved three times since I started). I took on my first solo wedding in 2010 for my neighbour’s daughter and I haven’t looked back since. 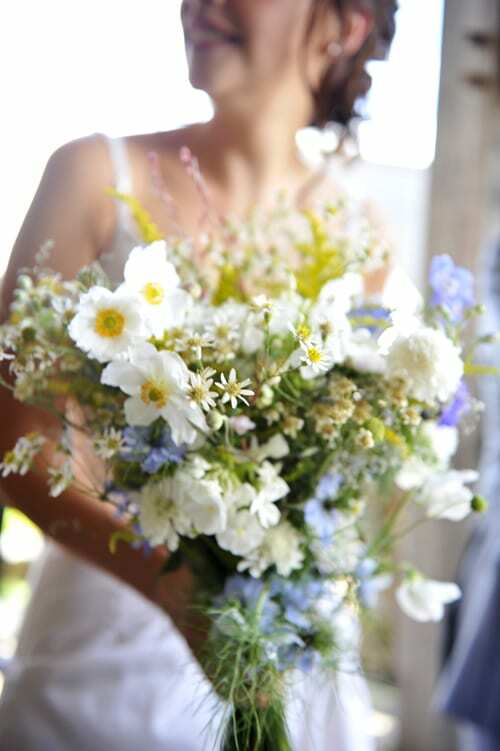 Do you grow all your own flowers or do you also source some from British growers? I would love to be able to grow all my own flowers and at the beginning I could. But as the business boomed, my little patches, here there and everywhere just weren’t enough. I still manage a few weddings a year that I can say hand-on-heart, are totally home grown by me. I needed to find an alternative source of British flowers. This is one of the reasons I decided to set up The British Flower Collective (named The Flower Co-Operative back then in 2010). 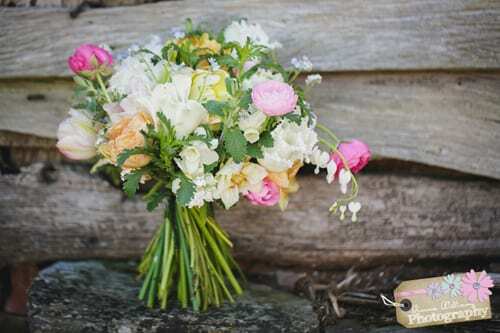 I’m lucky that there are a few other businesses near me, in neighbouring Herefordshire and Shropshire that I can sometimes source flowers from. I also order from Flowers by Clowance in Cornwall. 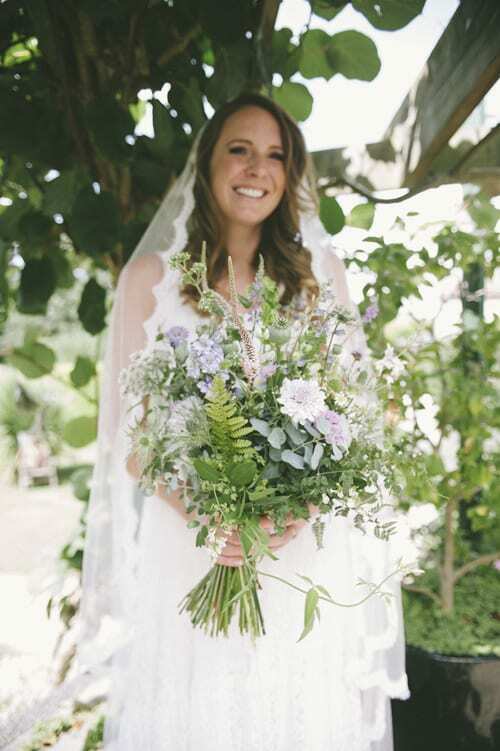 As BareBlooms got busier, I had less time to grow and tend my flowers, so last year I roped my best friend Sabina Rüber (flower photographer extraordinaire) in to share the workload, cost and produce from my little flower patches. It’s also really nice to have some company in what can sometimes be a very solitary job. I never set out for it to be the case, but I have ended up specialising in weddings. I still do the occasional celebration bouquet or funeral wreath, etc but the time and effort needed to go into wedding work has completely consumed BareBlooms. As much as I love the wedding work, I will be taking on fewer bookings next year so I have that precious time needed to experiment, develop my style, grow and be able to take on new opportunities that are thrown my way. I’m not sure it’s up to me to describe my style. I think that would be easier for someone else to put a label on. I’ve never gone out to create a certain style as my arrangements are just ‘me’. If I was forced to describe it though, I would say my arrangements are like little compact, quintessential British gardens. When I first started out, I was unaware there was a different approach to floristry. So, I didn’t know of any other floral designers to get inspiration from. My inspiration was solely from my love of British cottage gardens and from walking the dog. The country lanes with their frothy hedgerows and the local ancient woodlands are still my biggest source of inspiration. I’m constantly surprised at how perfect Mother Nature gets it right every time. I love following the natural rhythms of the changing seasons and you really feel that whilst out walking, even in the city. I hope my arrangements reflect how important seasonality is to me. Of course, now I’m a total groupie of all the amazing ‘natural florists’, ‘farmer florists’…whatever you want to label them as. And I’ve spent a lot of time looking at the American blogs and websites such as Floret Flower Farm, Brrchh and Amy Merrick, to name just a few. And I’ve been fortunate recently to take part in a ‘Little Flower School’ class with my two idols, Sarah Ryhanen and Nicolette Owen. 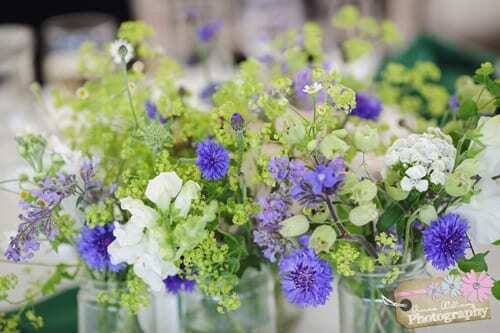 Not forgetting some of my lovely fellow The British Flower Collective members; Pyrus, The Blue Carrot, The Garden Gate Flower Company and Thomas Broom…all amazing inspiration as well as support. This must be the question every flower lover dreads. I couldn’t possibly choose…it would be like choosing my favourite child! It changes with what’s in season, which means it can sometimes change every week! If I could choose my favourite family of flower though, I would say I’m a big sucker for an umbellifer. I’m already fully booked for wedding work until the late summer. After that, everything is very ‘up in the air’ as I’m planning on moving back to my native North Oxfordshire to be closer to family. I still plan to carry on with my wedding work, but as yet I’ve not found anywhere I can rent to live, let alone grow. So, if anybody has any leads, please get in touch. I’m looking forward to discovering new wedding venues in that area as well as new British flower growers (please get in touch). All very exciting and equally scary! I will also be concentrating on developing and promoting The British Flower Collective, which is rapidly growing and taking up more and more of my time. Thank you so much to Chloe for all her help in compiling today’s blog post. 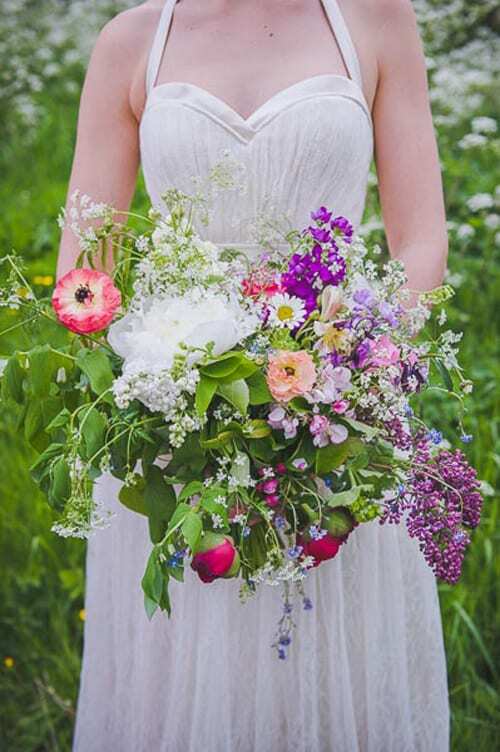 To see more of their beautiful work, please do visit the BareBlooms website.